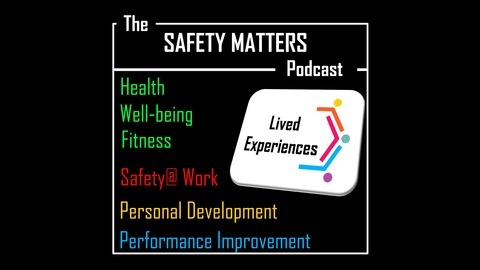 The Safety Matters Podcast (SMP) discusses the challenges facing the world today. 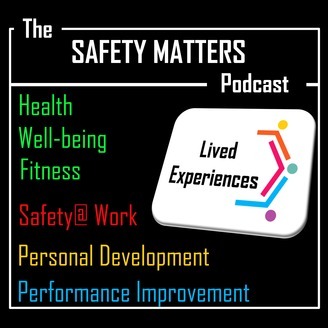 Based on "lived experiences" and interviews, we discuss HEALTH, FITNESS, WELL-BEING, SAFETY@WORK, PERSONAL DEVELOPMENT and PERFORMANCE IMPROVEMENT. SMP #032 We Are Moving To A NEW Show - "Riffing Yarns"
Really excited about this. After some great feedback regarding this show and content, I have taken on board all your comments and created a new show designed on your requirements. The new show (Riffing Yarns) is now available on all the major podcast platforms and I warmly welcome you to listen in and enjoy. It has been a labour of love and my pleasure to have adapted to your wishes. We will produce a few more of these shows before the summer ends. SMP #030 UK plc – Why Has Safety Performance Flat Lined?